A limited edition CD from spring 2005! I got a few albums by Bicasso that were only released on tape back in the mid to late 90s. Back when the Living Legends were known for slangin' tapes, Bicasso had some of the dopest releases from the crew. He has always excelled with his innovative concepts and unique approach to making beats and writing lyrics. Sure, most of the tapes back then sounded just awful, since they were 4-track home recordings, but never lacked an ounce of soul or ambition. Needless to say, Bicasso has come a long way in the past 10 years of making music, and "The Many Faces of..." is evidence of his most vast improvement to date. I always thought Bicasso had the best ear for beats in the LL Crew, and this is a fine example of how well Bicasso produces, engineers and structures his songs to perfection. The choruses and hooks are on point as usual, and his flow is getting better as the years drive on. 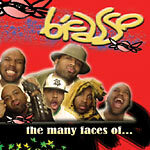 Although short (34 minutes), this limited edition spring 2005 EP will please all Bicasso & Living Legends fans. After the tail chasing intro, "Hit It & Quit It" drops in beautifully with some tight tone-crazed production. "What's Cool?" also remains a favorite with a very memorable chorus and hook. On "Royalty" Bicasso boasts a unique accent with his flow that sounds a bit British. It is apparent that his flow has improved over the course of the past few years. With a title like "The Many Faces of...", you should expect some different styles; and "Fantasy" adds more to the color of Bicasso's canvas of sound. "Dam* (Do the Job)" may be my favorite joint here, with some very unique beats and a nice personal set of lyrics. Overall, if you are new to Bicasso, this actually serves as a fine intro to his work. Although I would recommend "Living Life Lookin' Out" as a first purchase, this album contains slightly tighter rapping, and perhaps a better engineering value than it's predecessors. It's nice to see Bicasso maturing so well with yet another quality release. LEGENDS BABY!